We sang that old familiar Hymn. Every week at School assembly that hymn such joy did bring. 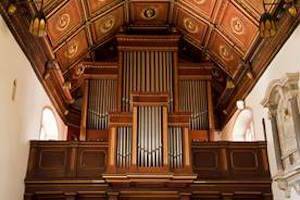 We hear that old familiar hymn resounding from the Organ loft. That sweet melody lingers on in our mind and our heart. We are then instantly transported to a happier past. Memories good and bad evoke tense emotions. It affects us like a hypnotic potion. However it brings a great deal of joy to our weary hearts. It transports us back to happier days. When you walk past a church stop and enter. God is the author of all good music. God can be found in that old familiar Hymn. In your hearts give praise to him. External happiness will it bring.